Sanju movie box office collection day 2: After becoming the highest opener of 2018 by minting Rs 34.75 crore on Friday, Sanju earned Rs 38.06 crore on Saturday. The total collection of the Ranbir Kapoor starrer now stands at Rs 73.35 crore. Ranbir Kapoor and Deepika Padukone to come together for Luv Ranjan’s next? Ranbir Kapoor’s Sanju is on a roll. After becoming the highest opener of 2018 by minting Rs 34.75 crore on Friday, the Sanjay Dutt biopic earned Rs 38.06 crore on Saturday. The total collection of Sanju now stands at Rs 73.35 crore. Sanju, which stars Ranbir Kapoor in the titular role, revolves around the ups and downs that the ultimate bad boy of Bollywood, Sanjay Dutt, has faced in his life. Dutt’s personal as well as professional history has been delved into by Rajkumar Hirani in Sanju. 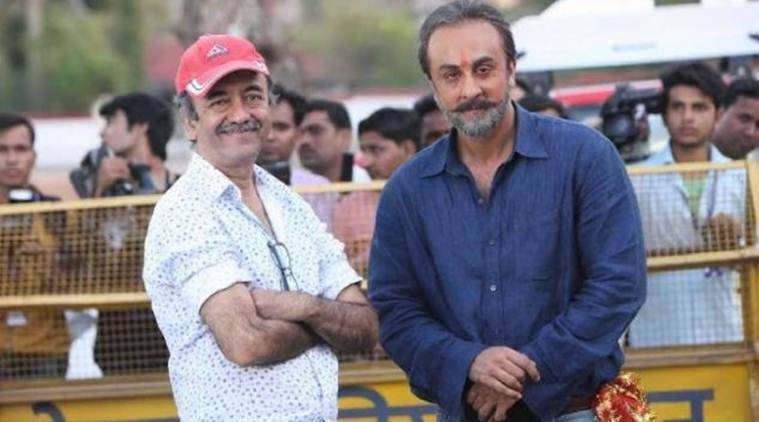 Interestingly, Dutt was the main lead for Rajkumar Hirani’s debut film Munnabhai MBBS, which had performed quite well at the box office, thereby resurrecting Dutt’s career and establishing Hirani as a force to reckon with. “Ranbir (Kapoor) is extraordinary in the film. I think the film is fantastic and Raju Ji (Rajkumar Hirani), Vicky Kaushal, and everybody has done a fantastic job. Whatever is the truth, has been shown in the film,” Sanjay Dutt recently said at the trailer launch of his upcoming film Saheb Biwi Aur Gangster 3. Sanju is also a short in the arm for Ranbir Kapoor’s career. Kapoor’s previous films like Besharam and Bombay Velvet had been box office failures. But now looking at Sanju’s fabulous opening, one can expect great things. Sanju has also garnered positive reviews from critics. The Indian Express’ film critic Shubhra Gupta had given a positive review to the film. The Rajkumar Hirani directorial has also given Ranbir Kapoor his career-best opening at the box office. Sanju stars Ranbir Kapoor, Dia Mirza, Paresh Rawal, Manisha Koirala, Anushka Sharma and Vicky Kaushal in pivotal roles.